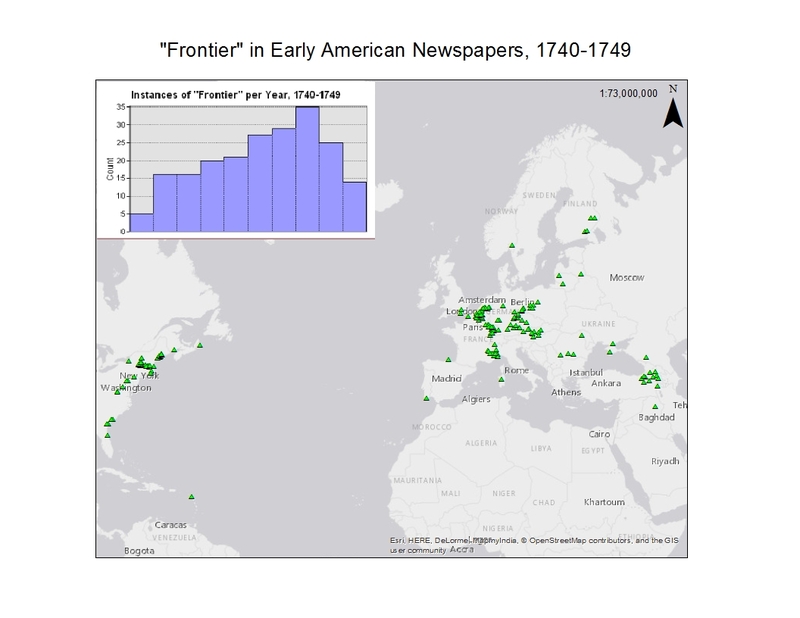 In the Coda of Frontier Country, Spero discusses some of the findings of the newspaper data-mining projects. 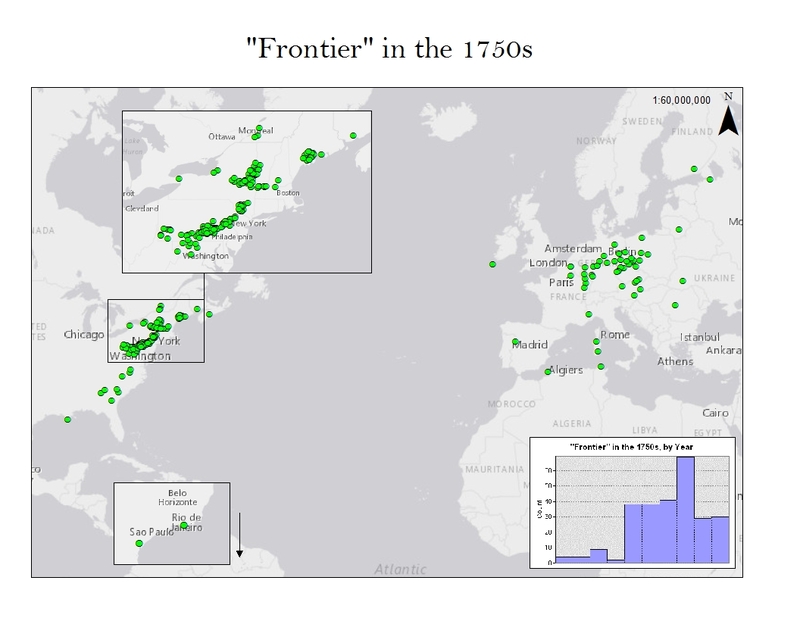 Two key findings were that spikes in the appearance of frontiers coincided with war and that most colonial Americans were aware of frontiers throughout the Atlantic, not just their local ones. Spero discusses how this global awareness of frontiers throughout the Atlantic World helped British colonists imagine their place in an expansive British Empire. 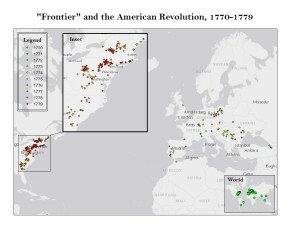 He then shows how the American Revolution severed this connection and, in turn, shifted Americans focus on frontiers toward North American ones. 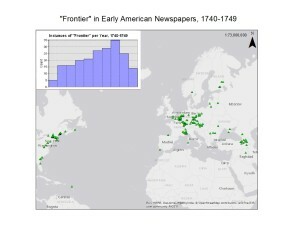 This series of maps, most of which use color and insets, could not be published in Frontier Country. In the 1730s, colonial Americans read about frontiers throughout the world, including the Indian subcontinent. 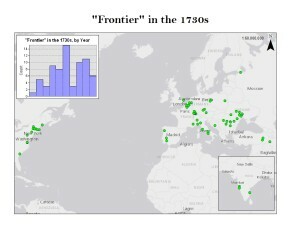 During Queen Anne’s War, the appearance of frontiers spiked as the war escalated and reports about frontiers came from various theaters of war. 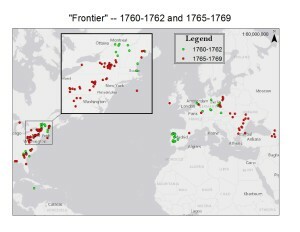 Reports on “frontiers” in North America during the Seven Years’ War came from the areas of the most frequent fighting, especially in Pennsylvania, Virginia, and New York as shown by the inset. 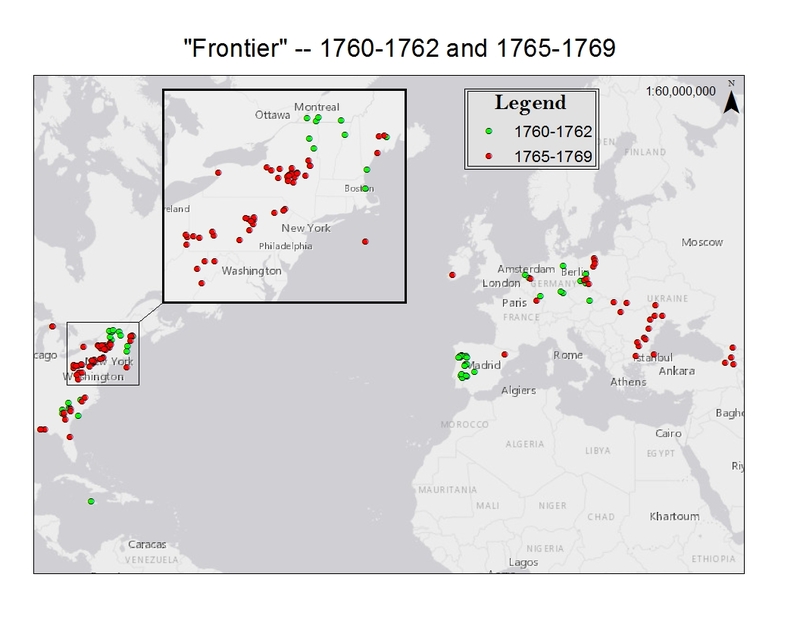 In one of the most revealing findings, after the Seven Years’ War, reports on frontiers in North America focused around Fort Pitt and Iroquoia, showing the continued tensions between Native Americans and colonists pushing onto their land. 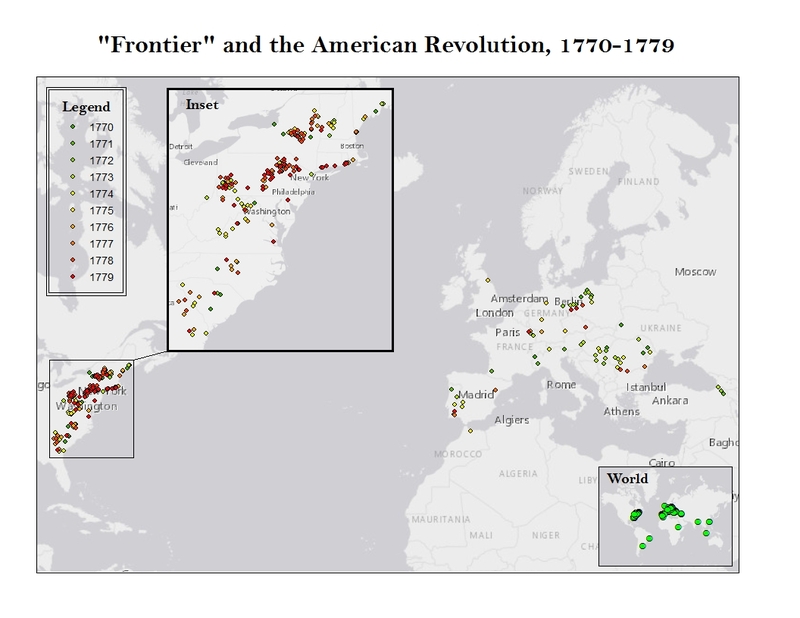 As the American Revolution unfolded, Americans shifted their attention to their own frontiers and reported less on European frontiers. For more analysis of these findings, see Frontier Country.